There is no other moment like the moment a person first meets their dog. The joy and laughter, the tears and smiles signify the beginning of a beautiful new life together. For many dogs, that person becomes the focus and recipient of their devotion and loyalty; for many people, the dog is a best friend, confidant and savior. That first meeting is remembered with deep love and gratitude. Here are some pictures of dogs and their new owners when they first met. In some cases, the dogs were adopted from rescues or shelters, and in others, they were simply in the right place and the right time. Alternatively, some of these new owners found their dogs at the time when they most needed a four-legged buddy. 1. 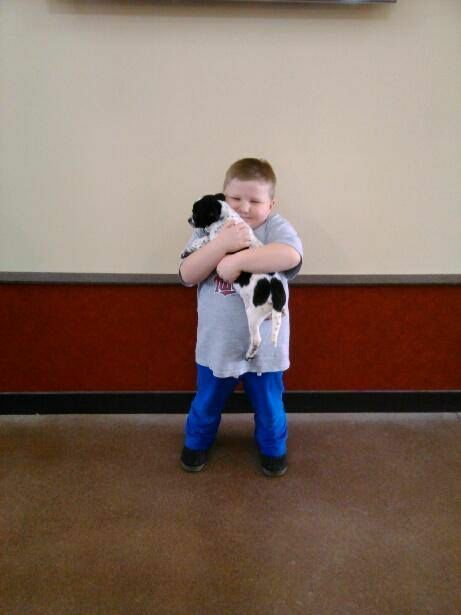 Coso gives this adoption two paws up. This photograph captures the happiest moment of this rescue dog's life. 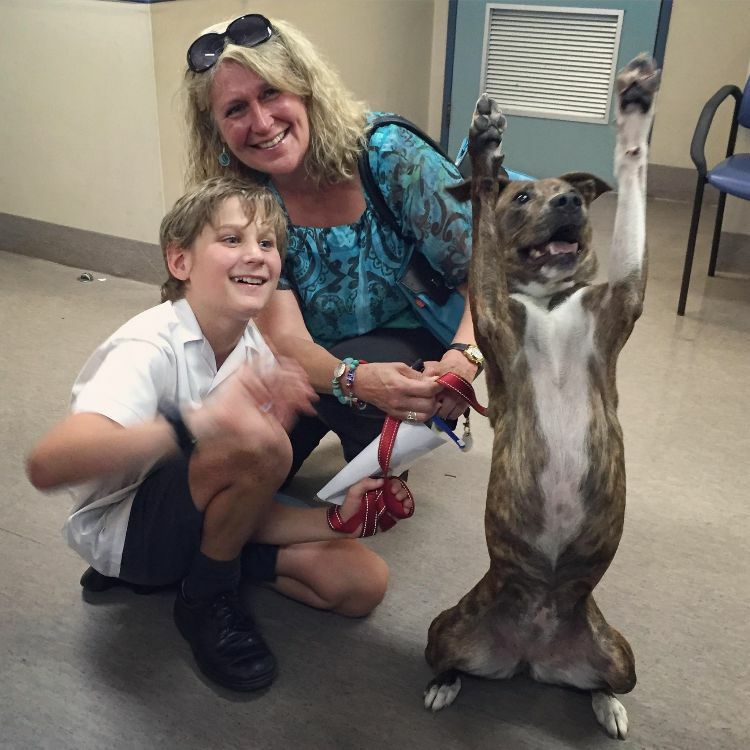 Taken just moments after Coso's adoption, this dog's posture and happy smile say it all. Even better, Coso's new young friend behind him seems to mirror that winning smile. 2. Luna smiles as she cuddles with her new friend. 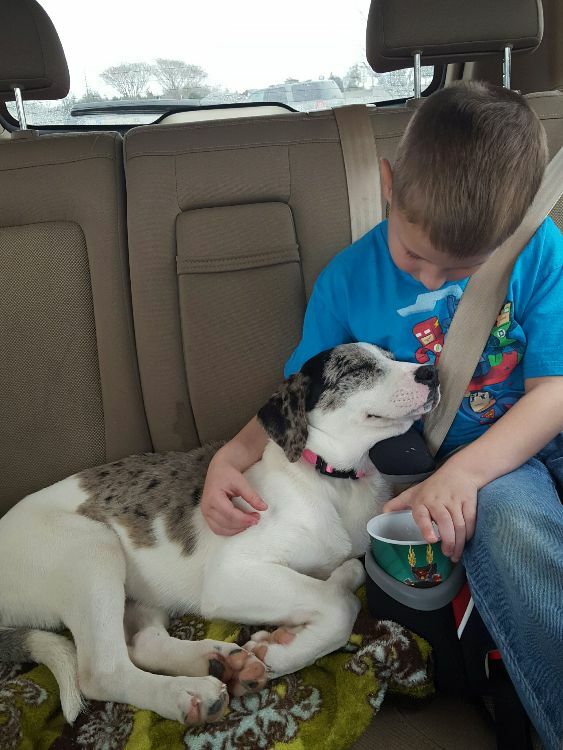 Lovely Luna appears to be smiling as she leaves the shelter and dozes off while leaning up against her new buddy. The dog knows she is now in loving hands, and the young boy cradling her already thinks she is the best friend in his whole world. 3. Boo takes a bite out of his new owner's nose. Thankfully, little Boo the golden retriever puppy is so adorable that anyone could forgive his excitement upon first meeting his new owner and nipping the owner's nose. Don't worry, Boo. It looks like your owner thinks you are the best dog ever and loves your puppy antics. 4. A big hug symbolizes the start of a wonderful friendship. 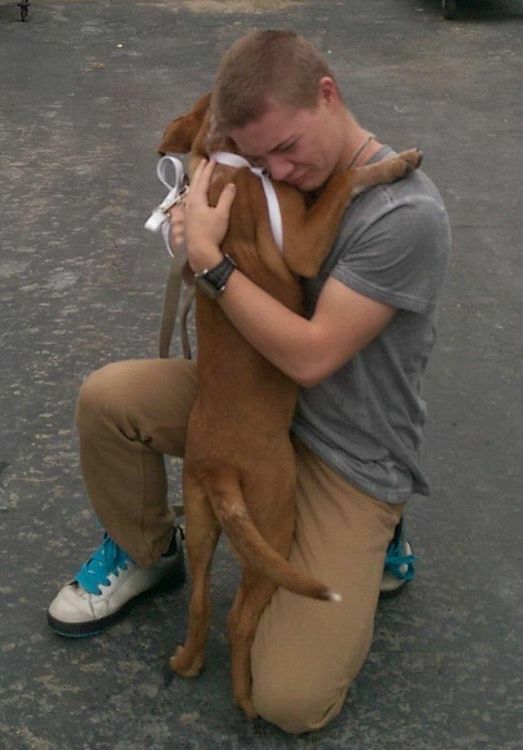 The young man in the picture was just given a dog as an early Christmas gift. Clearly, the right dog was chosen for him. Their first moment together was dominated by a full hug. This dog and his owner will be best friends forever. 5. A surprise gift leads to a healed heart. 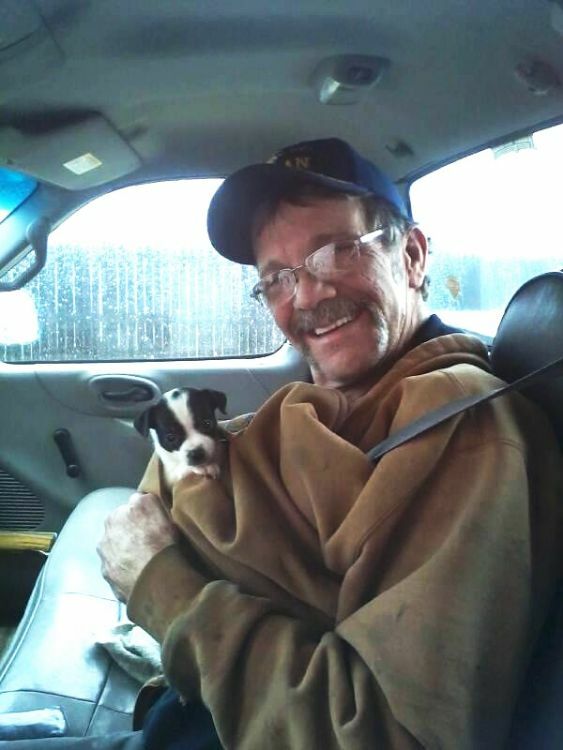 A few weeks before this picture was taken, this man lost his beloved 14-year-old dog. He was depressed about the loss of his friend, and his wife saw that he needed the love only a dog can provide. 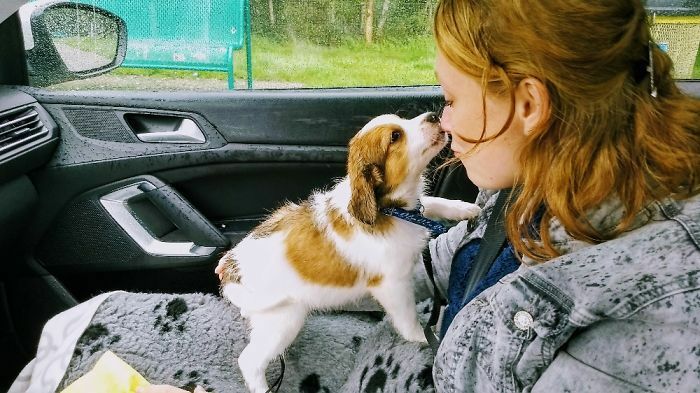 She told her husband they were going shopping, but she was really taking him to pick up the puppy she had adopted for him. This photograph is the first picture of these two new friends together. 6. One lucky puppy is going to a home where he will be cherished. A Reddit poster shared this picture from a local animal shelter that posted about this sweet adoption. A young boy hugs his new puppy, and his innocent, loving gesture shows how much this dog means to him. Another incredibly special friendship has begun. 7. You are safe now, sweet dog. 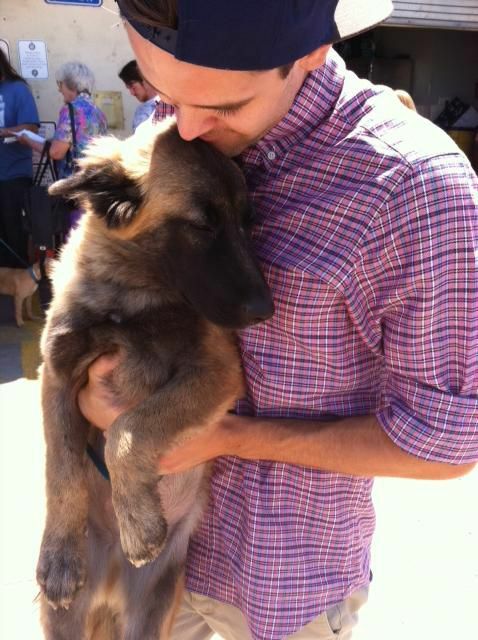 The young man in this picture is holding his newly adopted dog for the first time. He holds the dog close to him while gently resting his chin on the dog's head. The dog closes his eyes and leans against his owner. He looks as if he knows he is in the best of hands and will be cared for the rest of his life. 8. 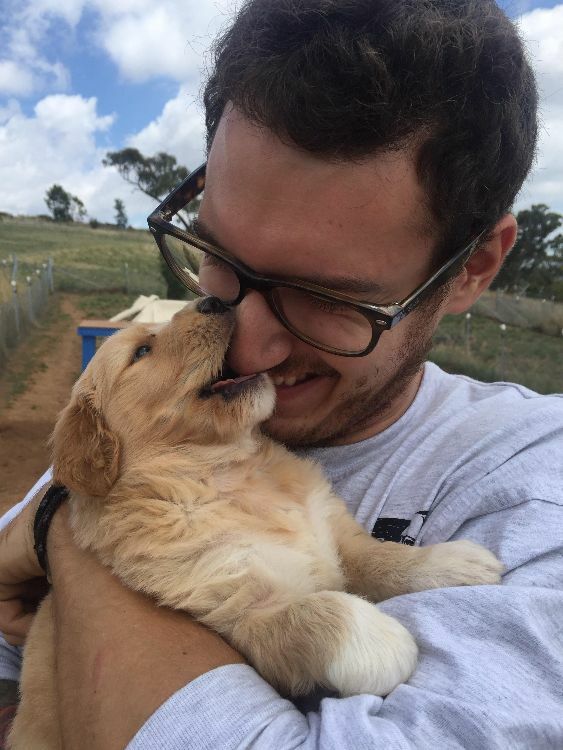 A sweet first kiss for a new puppy owner. How darling is this picture? A new owner is bringing her puppy home and gets a kiss on the nose before the trip begins. This little puppy is already smitten with her human friend. 9. There's always room for one more kid, even the four-legged kind. 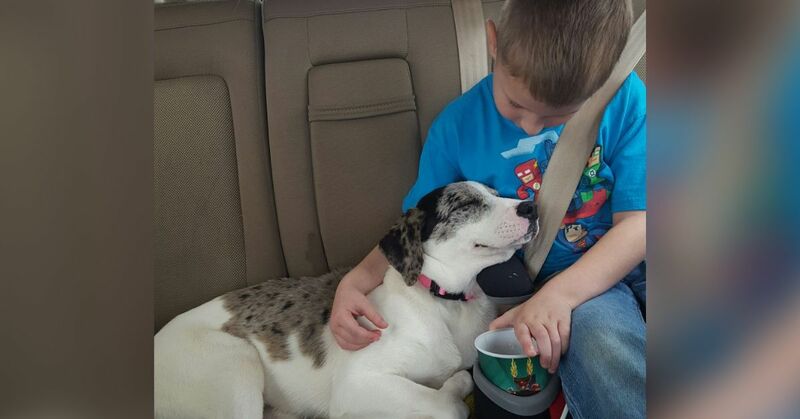 This family opened their hearts and their homes for Juno, a large rescue dog they adopted. 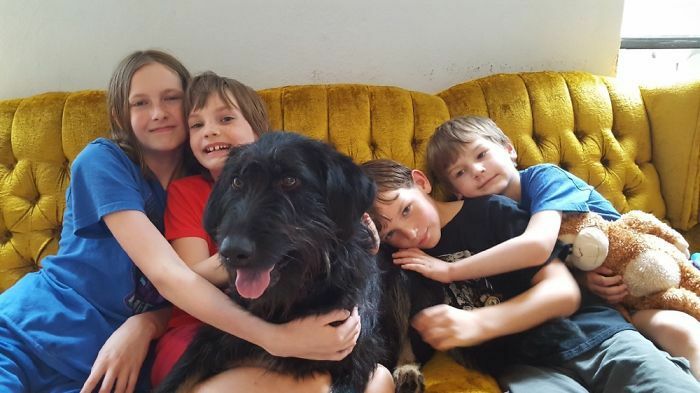 Here is Juno's first picture with her new family, and as they engulf her in a big hug, it's clear she is welcomed and fits right in with the gang. 10. It was a long time coming, but Pippa found her person. Pippa was a dog abandoned at an animal shelter and waited 103 days for the right person to come through the door. It took a long time, but finally, Pippa found her family. In this picture, both hew new owner and Pippa share a happy smile that marks the start of a whole new life. 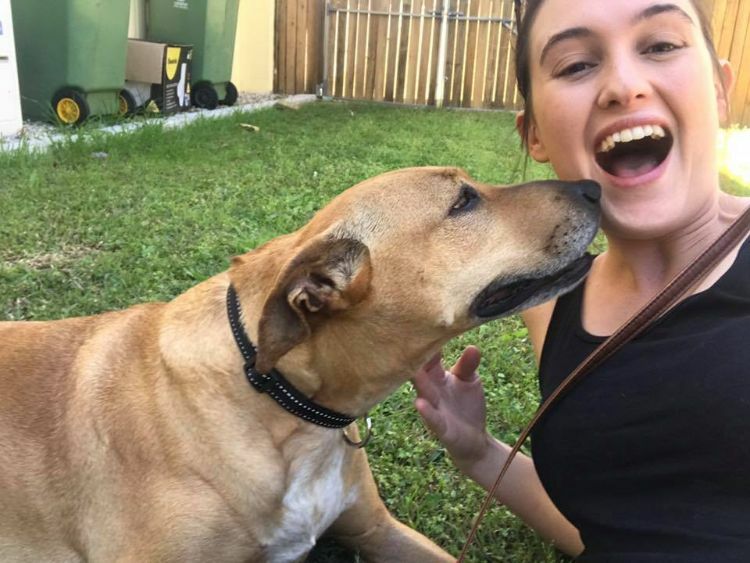 These people are privileged to have their dogs in their lives, and the dogs are thrilled to have new best friends. What was the moment like when you first met your dog? Share your pictures and stories below.